for $80,000 with 2 bedrooms and 2 full baths. This 1,188 square foot home was built in 1980 on a lot size of 95 X 50 X 50 X 95. Live in Naples with low HOA Fee! Convenient to everything!! 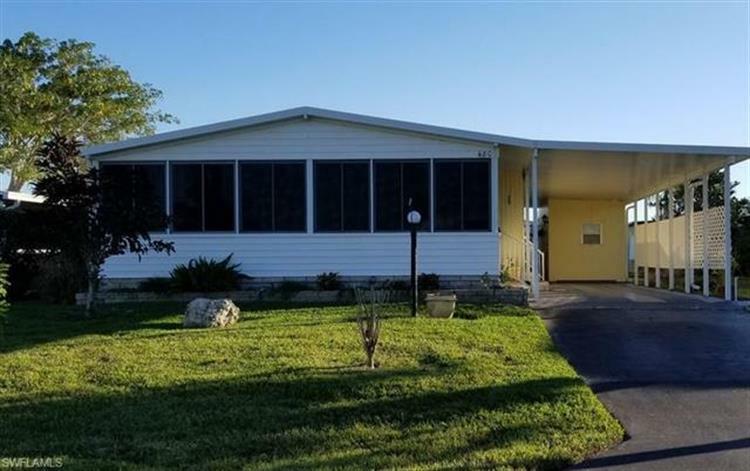 Spacious 2 Bedroom, 2 Bath Double wide mobile home with oversized 2 Car Carport in Cape Sable Lakes. 55+ Community however only 1 person needs to be 55 years of age. YOU OWN THE LAND! Bedrooms have spacious walk-in closets. The walls are stucco, no paneling helps keep electric bills low. Front Porch is enclosed with a Jacuzzi Hot Tub. Master Bedroom is large and has a dressing area. Cathedral ceilings in Living, Dining and Kitchen areas. Large open space for dining or entertaining. 2 Sheds for extra storage, New AC unit and all the ducts have been checked and taped. Association fee is $105 per month and includes Lawn Maintenance, Cable, Clubhouse with activities, Cabana, 2 Heated Pools and Exercise Room. Irrigation Water comes from the Lakes. The community has it's own TV Channel #195 which gives all information on Park. Super close to I-75, Naples Pier/Beach, Marinas, 5th Ave Restaurants, Coastland Mall and so much more! 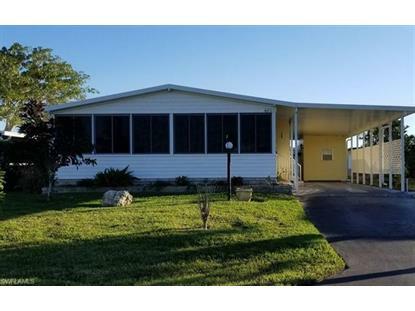 Perfect home for snowbirds or investors looking to lease.